I'm a huge fan of staycations. As much as I love exploring new places and trying out new sites, there's nothing like the comfort of camping out in your own backyard. 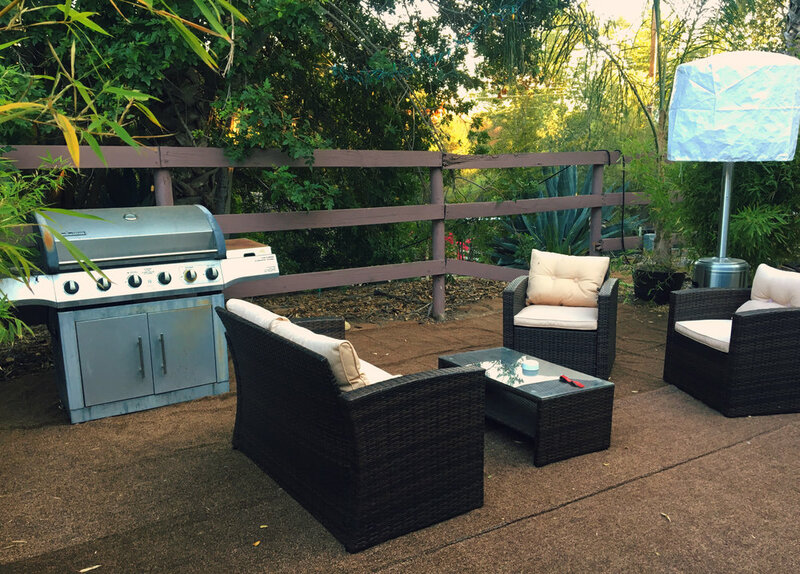 Unfortunately, finding new campsites is difficult in my area; North County San Diego doesn't offer a huge selection of quality camping and glamping. So... 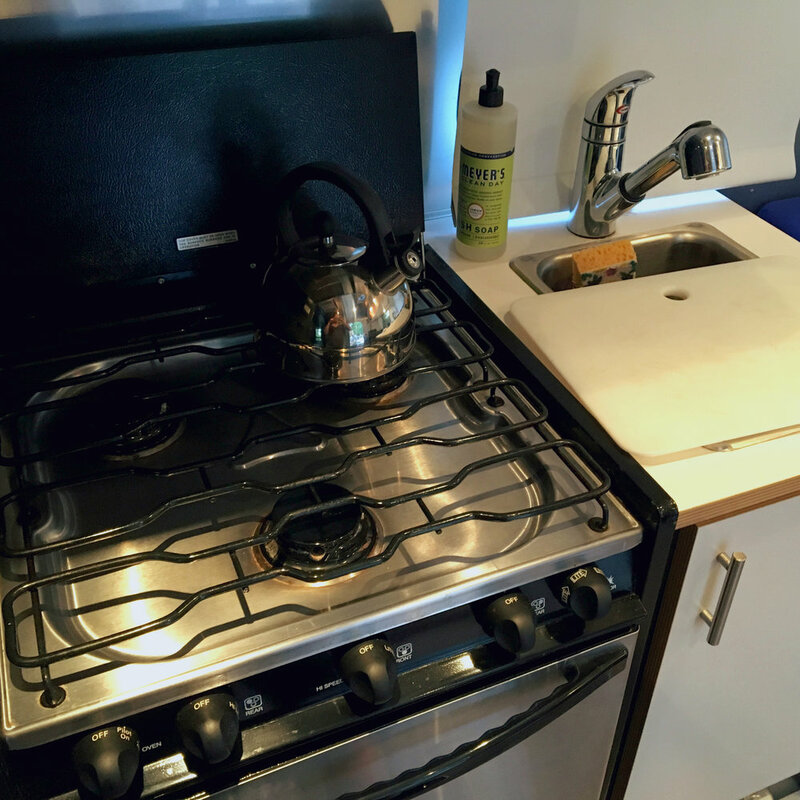 I turned to Airbnb for inspiration. 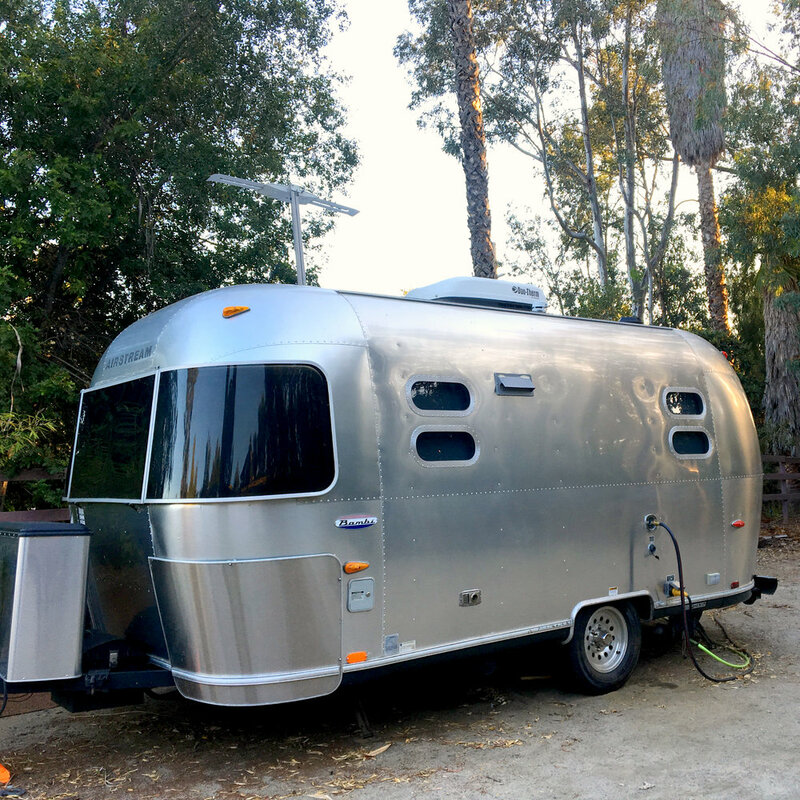 Nestled among your run-of-the-mill beach houses and condo rooms, I came across this listing for a darling Airstream... right here in Escondido! It was cute and local -- I was sold the instant I saw it, but the crazy affordable price certainly was an added bonus. The owners, Kerry and Seiko, agreed to host me and Ryan for two nights, so we packed our bags, dropped the dogs off with their grandparents (sorry, doggos, no pets allowed! ), and zipped right over. Rancho de Swell is a large, beautiful property rich with old fruit trees and stylish succulent gardens. The hosts' home is a quick walk away from the 19 ft. Bambi Airstream, which sits in a secluded corral with its own lounge area. Upon first glance, the scene appeared quaint and retro... but make no mistake, this Airstream is as modern and luxurious as they come. I had never been near - let alone inside - an Airstream before, so I was shocked when I stepped inside and saw what seemed to be a completely furnished, albeit small, hotel room: an adorable dining area complete with a gift of prepacked granola, a kitchenette with sink, oven, and stove-top, a fridge with ample space for the ridiculous amount of food we brought, a bathroom with flushing toilet and shower, a hand-washing station and mirror, and one of the comfiest beds I have ever slept in. To a tent-camper, this took glamping to a whole new level. Unlike most of my previous trips, this one required virtually zero unpacking. We simply loaded our food and drinks into the fridge and sat back in our lounge area to enjoy the evening air. Tiny bats swooped around the sky, scooping up insects, a pair of large hawks settled down for the night in a nearby eucalyptus tree, and the twinkling string lights came on overhead as the sun went down. I was surprised at how secluded it felt; despite being in a neighborhood, this is one of the most peaceful locations I have ever been to. After some wine and chocolate (naturally), we retired to bed. 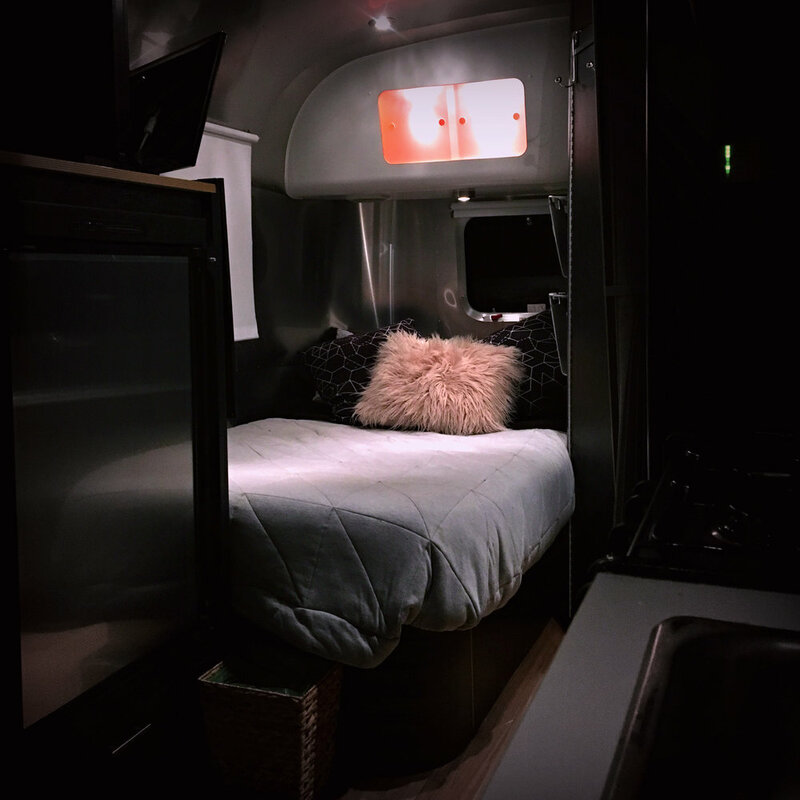 Again, I was surprised: everything inside the Airstream is compact, with absolutely zero wasted space, and I was worried the bed might feel cramped... but we had no such issues. Even Ryan, who is six and a half feet tall, fit into the bed just fine. And believe me when I say... that bed is SO COMFY. We tried to lay back and watch a show on the little TV above the foot of the bed, but we were so comfortable that we fell asleep almost immediately. The next morning, we awoke and had some delicious granola for breakfast, then decided to visit some of the nearest "attractions." 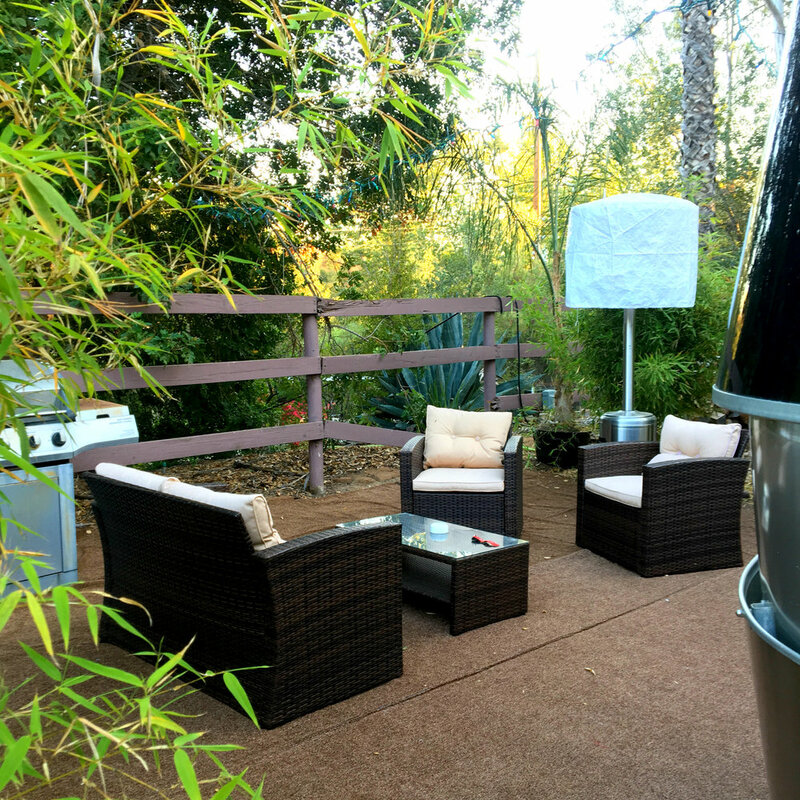 Rancho de Swell is central to all of the great stuff in Escondido: ten minutes from the Safari Park, and five minutes from the mall, Orfila Winery, and Forgotten Barrel Winery. If you like to wine and shop without the hustle-bustle of the city outside your window, then this is the perfect vacation spot for you. We hold a Safari Park membership and like to lunch there sometimes, so we headed over to check out the animals. Aside from the awesome wildlife, the Safari Park offers a number of fantastic restaurants, as well as a great selection of local craft beers. It is really one of my favorite things about living in Escondido. Afterward, we headed to Orfila Winery -- another of my favorite hidden gems. 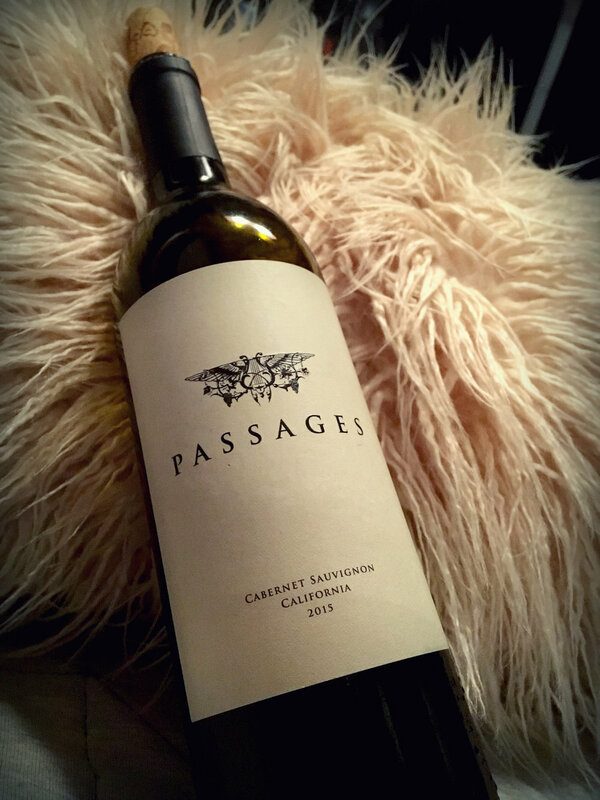 Their wine is spectacular, and the tasting room sits atop a hill with a great view of the vineyards and rolling mountains beyond. If you have never been to East Escondido, trust me... it will change your entire opinion of the city! In the evening, we picked up some delicious beers to go from Wild Barrel, a fairly new brewery in town. 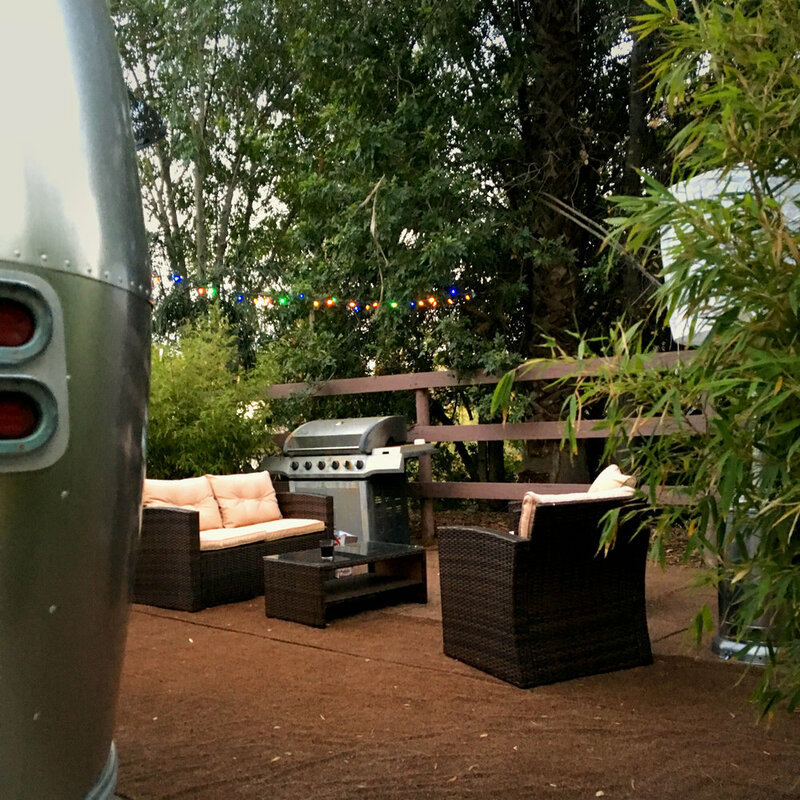 Then we headed back to our little Airstream home and grilled sausages for dinner on the grill in our patio area. We turned up the radio in the Airstream so we could listen to some music, then I kicked back with a good book and chilled. As far as vacations go, this one was short but very sweet. Sometimes all you need is a quick getaway (even just ten minutes down the road) to unwind and return home feeling refreshed. 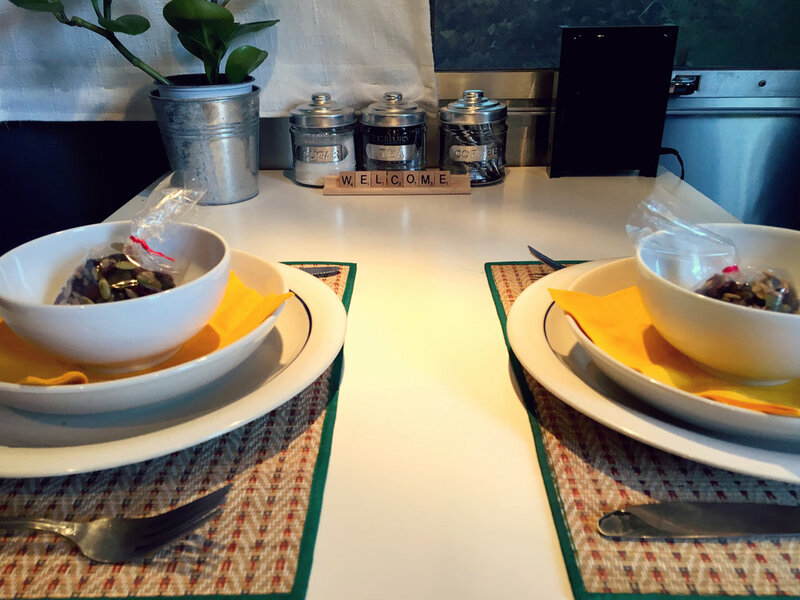 Staycations have all the perks of a big trip - new scenery, time away from work, the opportunity to relax and indulge - without any of the heavy packing and unpacking, tedious driving, and stress that comes with an unfamiliar locale. I grew up in North County, and moved to Escondido about three years ago, and yet I am still uncovering new, amazing places to visit right here in my own backyard. I do love getting out and visiting new cities and states, but this staycation was exactly what I needed. 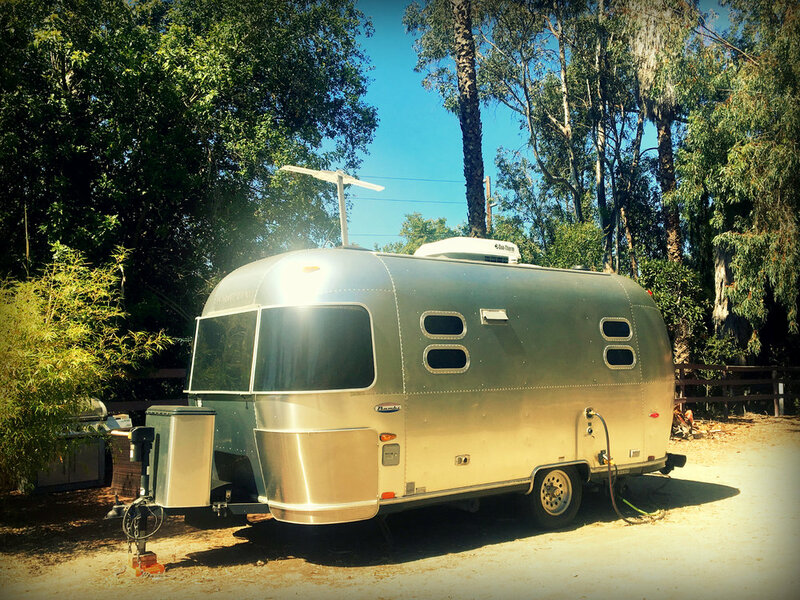 It was a blast getting to stay in an Airstream for the very first time; it definitely will not be my last. 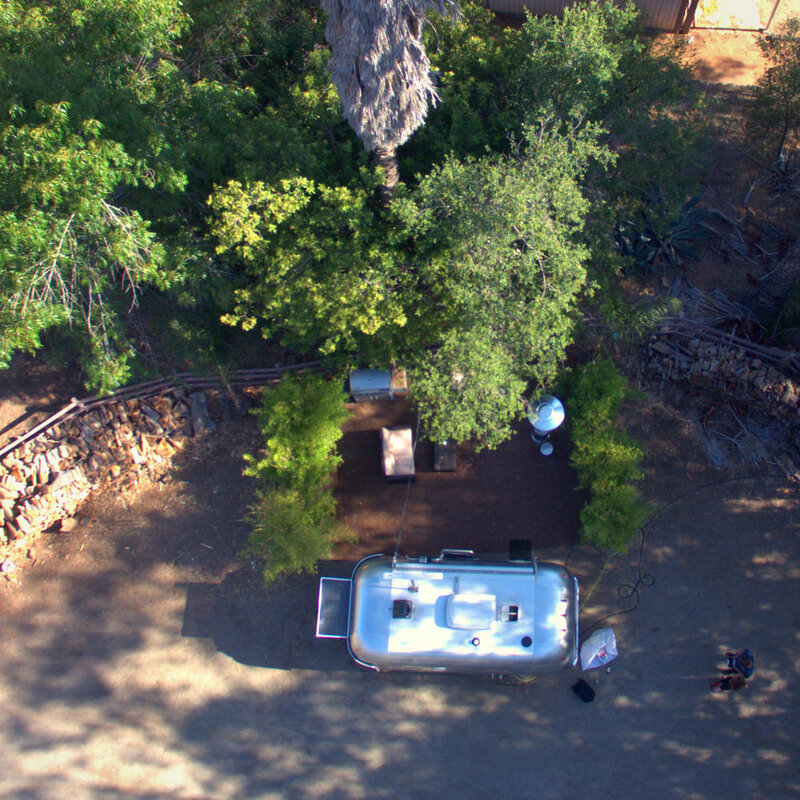 Kerry and Seiko were gracious and attentive hosts, and for any other first-time (or long-time) Airstreamers, I would highly recommend Rancho de Swell as your next RV vacation in San Diego area. 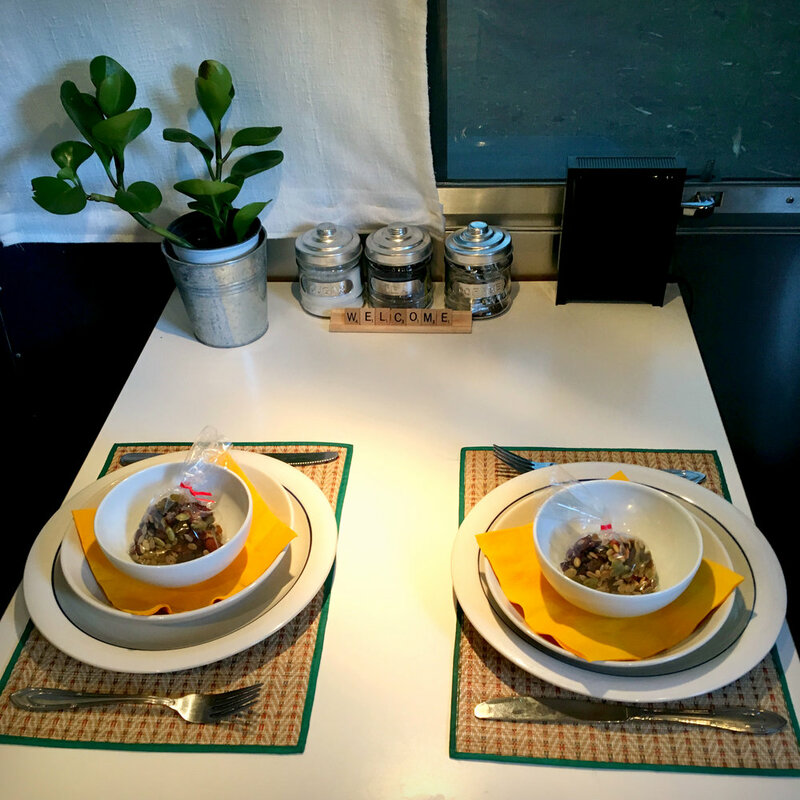 The accommodations were on point: soft bed, fully furnished living quarters (including dishes, silverware, pots and pans, kitchen accessories, radio, TV, air conditioning, and even board games), luxurious outdoor seating area, and everything was completely spotless. Whether you're a seasoned camper looking to try some less rugged accommodations or more of a hotel/motel/RV traveler, this is the kind of accessible camping anyone can enjoy. 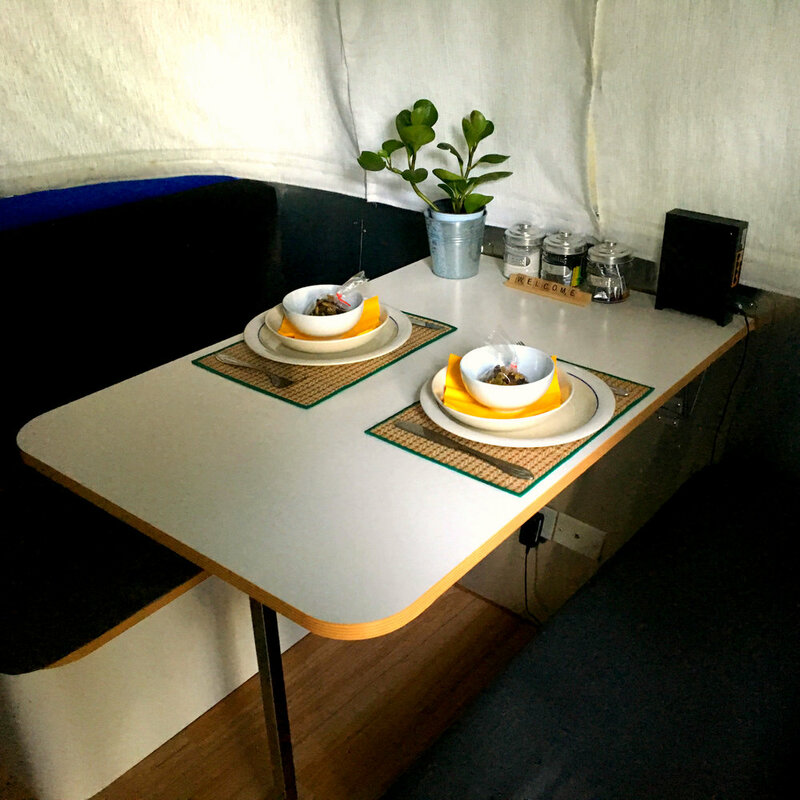 Scroll through the gallery below to view more photos of this amazing Airstream!